A sugar glider is a small, nocturnal, arboreal marsupial native to Australia and Indonesia. As with any animal, sugar gliders have certain drawbacks that you should consider. Cleaning cages, costs, veterinary access, tempermant and more are all things to be considered. You can read more about the drawbacks of sugar gliders and find more information in the Gliderpedia. 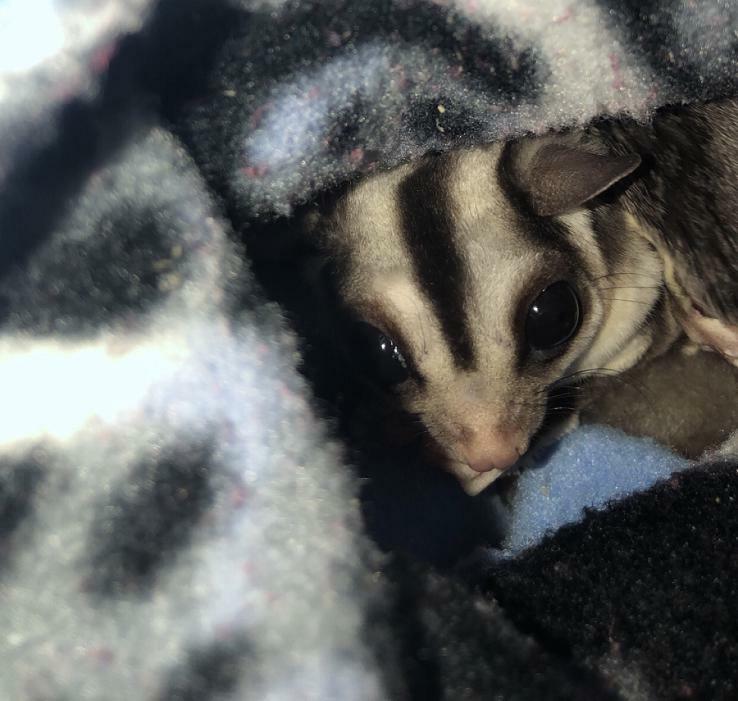 What do I feed my sugar glider? See Diet in the Gliderpedia. Where can I learn more about this animal? The Gliderpedia is a searchable encyclopedia full of information about sugar gliders. 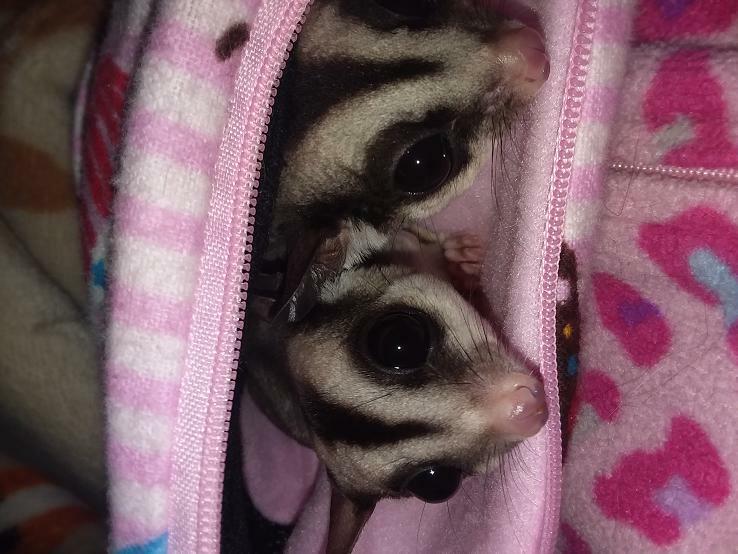 Looking for a sugar glider? 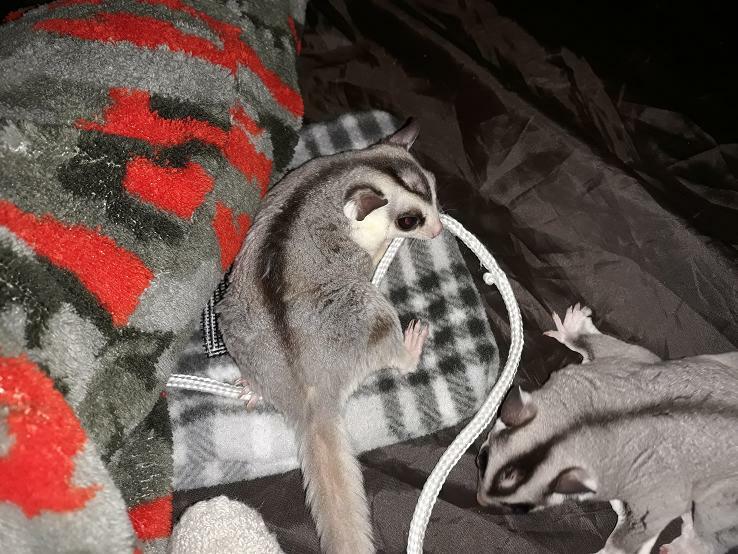 Click here to find homeless sugar gliders. Looking to buy a cage or other supplies? 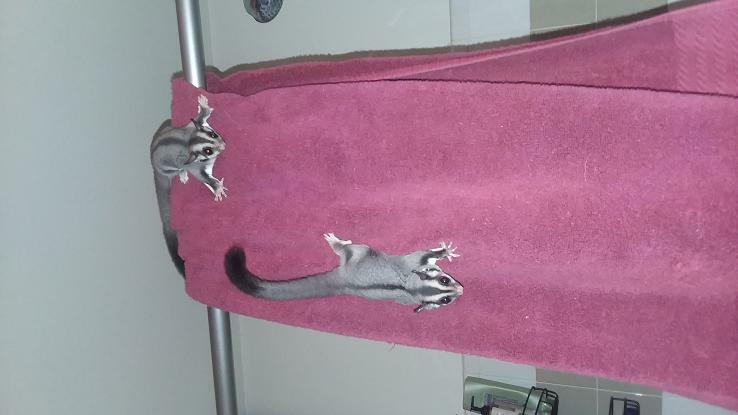 We have some links to popular items for keeping sugar gliders as pets. HELP!!! UNEXPERIENCED OWNER TRYING TO BREED!!! I would advise against it. The snails may have parasites that could harm your gliders. may i ask where you got these gliders from? 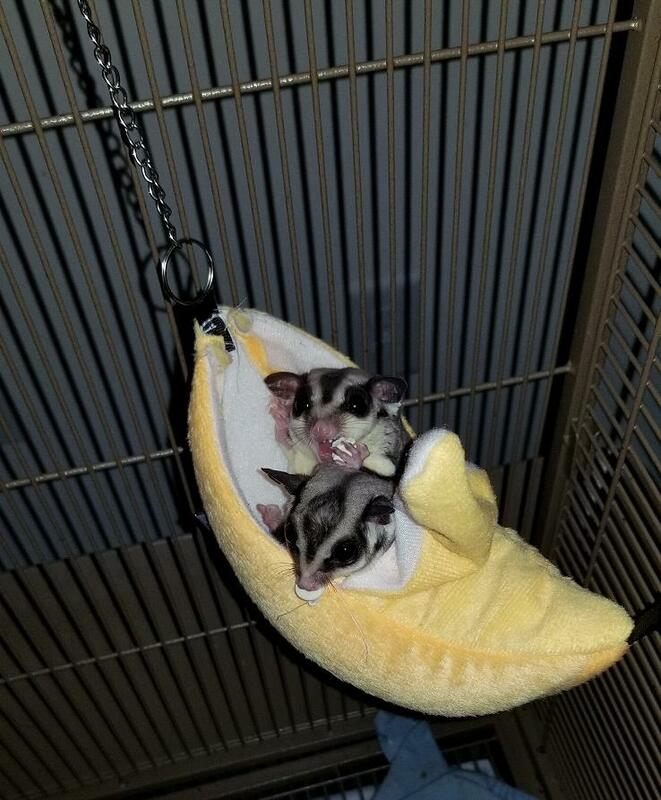 What is the best thing about sugar gliders? The cute bandages on your arms covering up their bites. The artistic pattern of scratches on your arms. The abstract art on your walls and floor made from food. The veterinary bills are the best! The very late-at-night melodies and percussions. The natural aroma therapy they give to every home. The smell. OMG the smell!